Trigger warnings: This book mentions a lot of sensitive stuff like alcoholism, suicide, underage drinking, substance usage, and addiction. If these topics are known triggers for you, I highly suggest that you tread carefully should you choose to read this book and/or this review. I won a review copy of this title in a Goodreads giveaway! Thank you so much to Goodreads and the Wednesday Books team for sending it over. This did not, in any way, affect my overall opinion of the book and/or the story. 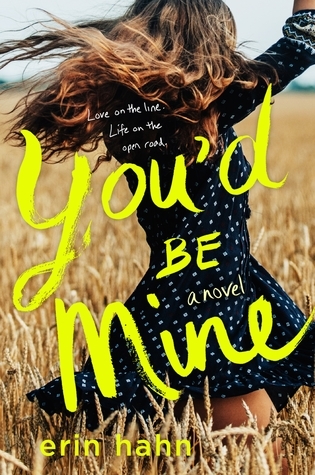 Reading You’d Be Mine came as a personal recommendation from my amazing friend Hazel from Stay Bookish. Erin Hahn became her mentor during *** and when she got the chance to read YBM in advance, she didn’t want to shut up about it (don’t get me wrong, that’s not a bad thing!) 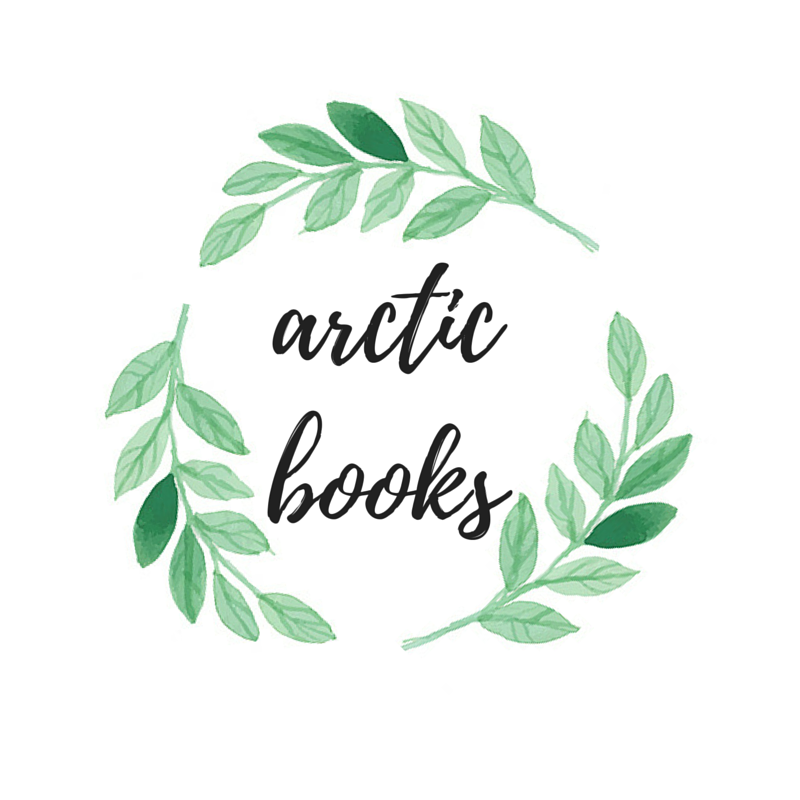 She eventually came up to me and offered to give me her extra bound manuscript and asked if I would be interested in co-hosting a blog tour for the author and I, knowing full well that I’ll be falling in love with it since it’s a YA romance contemporary about two musicians, enthusiastically said yes. As expected, I ended up adoring Annie and Clay’s love story and, much like Hazel, I’ve grown extremely fond of Erin Hahn’s debut. So read on to know the things that I loved most about it. Let me start off this review by saying just how much I adore Erin Hahn’s writing style. Her storytelling technique, at least to me, is uniquely direct to the point and I really enjoyed reading her words. I appreciated the fact that she didn’t write the story in circles, which might be the case for some YA contemporary stories, and that paved the way for the story to move in a progressive and swift pacing. Lots of stuff happened in under 300 pages and yet the whole story didn’t feel congested overworked. It felt like the author took her time in conceiving Annie and Clay’s story and I know how much effort went into writing this, making me obsess over it more. I’m a huge fan of uncomplicated and conservative romance stories and this hits all the right spots. Again, the writing style was adorable, the transitioning was perfect, and even though most of the story happened on the road, it still felt spontaneous and I, for one, really, really enjoyed it. Another thing that I appreciated about You’d Be Mine is that it’s not just your typical bad boy falls in love with the immaculate girl type of love story. While it most definitely is, it chose to focus on lots of important topics as well such as mental illness, alcoholism, grief, and so much more. When they first met, both Annie and Clay were grieving over the loss of their loved ones—Annie’s parents, Cora and Robbie, who were both famous musicians at the time, committed suicide, while Clay’s brother, Danny, died in Iraq as a result of him joining the military force. It’s no secret that both these characters were broken and so they unavoidably started off on the wrong foot. But as they toured together, and started getting to know one another, they slowly gotten used to each other’s good and bad traits. Clay turned to alcohol and short-time flings to forget about his problems, while Annie, as a result of her nightmares about being the first to see her parents dead in their own home, was reserved and had second thoughts about the career that she wants to pursue. These problems gave so much depth and context into Annie and Clay’s background story and so even though it was painful to see them go through so much, I wouldn’t have had it any other way. Erin Hahn came up with such strong and resilient characters and so it was fairly easy for me, as a reader, to fall in love and root for both Clay and Annie. As the story went on, both lead characters became more and more interesting and so very well-rounded. Both of their voices were unique and I had a fun time being in both of their head space(s). And the fact that this story was told alternately in both of their perspectives made it all the more emotional and heartfelt. I had no trouble connecting with these people and it took me no less than a few pages to get invested in their story. Their character improvement was impressive, and they actually felt like real people going through real problems, and I had such a memorable experience getting to know them both. I have no doubt that they will be with me for a long, long time. Have YOU read You’d Be Mine yet? If so, then how was it for you? Let me know what you thought down below in the comments section! And if you haven’t gotten yourself a copy of Erin’s debut, be sure to do so as soon as possible and come back here to discuss! 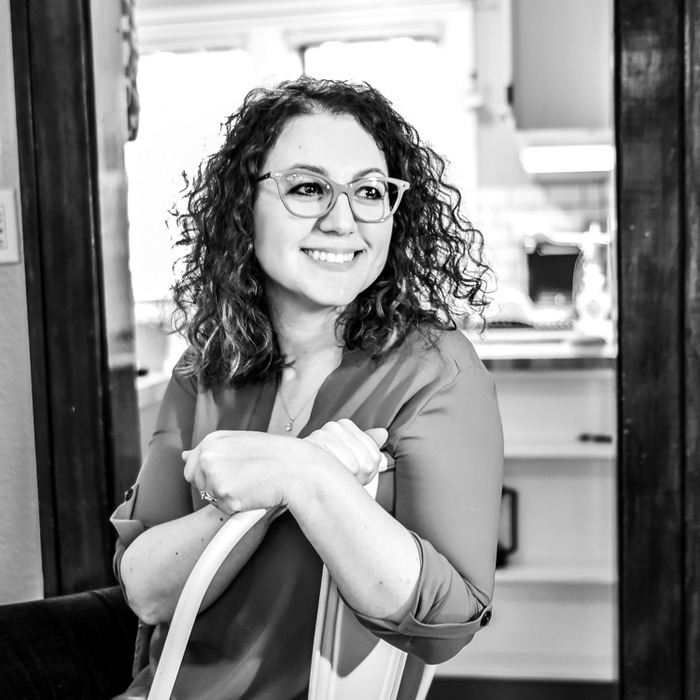 Erin Hahn started writing her own books when her little sister gave her shade about a country music-themed Twilight fanfic. By day, she gets to share her favorite stories with her elementary students. By night, she writes swoons. Erin married her own YA love interest whom she met on her first day of college and has two kids who are much, much cooler than she ever was at their age. She lives in Michigan, aka the greenest place on earth and has a cat, Gus, who plays fetch. This sounds like a good read! Heavier than I might usually pick up for a romance, but I do want to pick it up now. Thanks!